This decadent, slow-cooked leg of lamb is beautifully flavoured with Patak's Korma Spice Paste, yogurt and spices. A real showstopper perfect for a feast with family or friends! 1. Deep fry sliced onions until they are brown and crispy. Drain on kitchen paper until they cool down. 2. In a blender add fried sliced onions, ginger, garlic, ground almonds, green cardamom, cinnamon, and half the yogurt into a smooth marinade. 3. 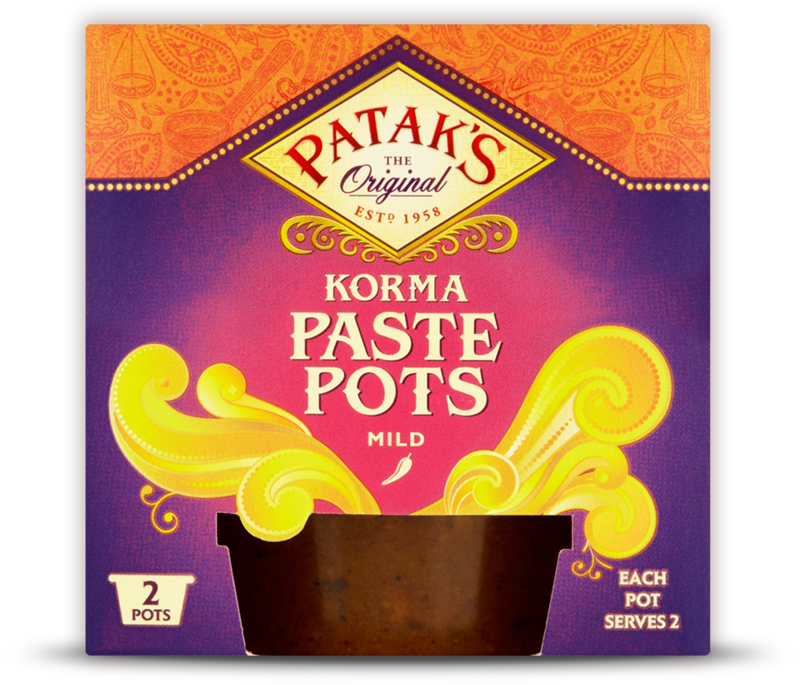 Combine the above marinade into the remaining yogurt, cream, garam masala, gram flour, salt, oil and Patak's Korma Paste Pot. 4. Clean the lamb of any sinew, and make deep cuts all over the leg. Cover the leg with the marinade ensuring that the marinade fills the cuts. 5. Cover and refrigerate for 18-24 hours. 6. Pre-heat over 140°C fan / 160°C/ gas mark 3. 7.Pour some oil into a deep sided roasting tin / tray, cover with a layer of greaseproof paper and place the leg of lamb in the try. Cover the leg with any spare marinade and slices of butter. 8. Cover with a lid or 2-3 layers of foil. 9. Cook in the pre-heated oven for 4 hours (depending on the size of the lamb’s leg and type of the oven). 10. Once cooked, remove the lamb and strain the juices through a fine strainer and put to one side. 11. Serve with Jeera Aloo, roast vegetables and the strained jus.